KJIPUKTUK (Halifax) – In a nutshell this is an article about stigma encountered by people on income assistance, and how that attitude is a violation of our human rights. Let me start off with a personal experience. It took me three years of apartment hunting to achieve moving out of my old address. Of course, as we all know, $535 is the shelter allowance limit. Any rent beyond that amount has to comes out of your $275 personal allowance. However while apartment hunting, it wasn’t only my budget that made it difficult to find a suitable apartment. I guess some landlords out their do not realize some people in our society need that type of care. This kind of prejudice adds to the problems of income assistance clients are having finding affordable housing. These landlords do not know income assistance from a hole in the ground. I have the odd person in my life who expresses to me that I should be having a social worker who comes into my apartment and checks on me once weekly. They have this opinion not because there is anything seriously wrong with my health, even though I do have disabilities. They are of this opinion only because I am receiving the income assistance cheque from the Department of Community Services. 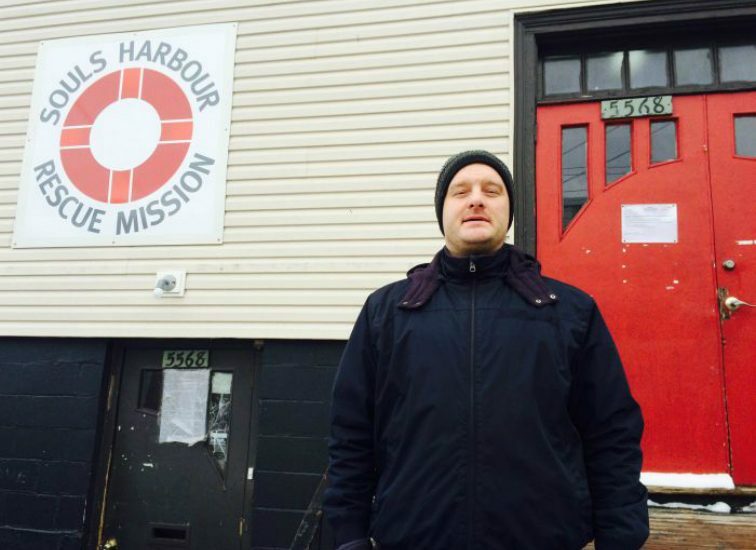 From my experiences of attending the kind of places I talked about in my past Media Co-op article Down and out in Halifax and Dartmouth, I am not the only person who receives income assistance who has had this experience. Before getting into talking about the bigger picture of why these knee-jerk expectations are unfair and a human rights violation, first I want to say this assumption annoys me because, as I wrote before, even though I live with impulse disorder and with a learning disability I am still able to live independently and be a part of the wider community. For me this is a human rights violation. Of course any person who is recovering from or dealing with a serious ongoing health issue, whether on social assistance or not, would want to be able to stay at home and still get the care that they need. And yes, I do agree that there are income assistance clients that need in-home care support, and even to some level supervision. I do agree that some need those types of supports because of their serious health conditions or disabilities. However the point I am trying to make here is that income assistance clients should not be assumed to be receiving care only because they are receiving the income assistance cheque in the first place. It doesn’t make sense. You cannot paint everyone with the same brush. This knee-jerk assumption comes from the stigma that people on welfare face. From my personal experiences those who express this opinion about people who are on income assistance do not know welfare from a hole in the ground. What needs to be understood there is the fact that a lot of people on the system cannot work because of their disabilities, both physical and mental. Yes, people who are not on income assistance work hard for their money, but they are able to. Those people are fortunate to be healthy, stable, and secure with people in their life who have their backs. Still, that is no reason to paint everyone with the same brush. People on income assistance want to be part of the wider community. However, because they face this stigma, they feel excluded and terribly discouraged. Kendall Worth,I agree with you 100%! People are so quick to judge….they make huge assumptions about others and their situations.However,they know absolutely nothing about the reality of our lives!